The Dr. Dabber is a vape pen that is portable making it very convenient to take with you everywhere. It is stylish and you can use it anywhere you want and still enjoy a very low profile. The physical effects of this vape pen are mild. However, using a vape pen will get you high if that is what you want. A dab pen is basically a vaporizer pen that is designed to vape different concentrates of cannabis. The regular pen has atomizers, a mouthpiece and a coil that heats the material. This has to be inhaled so as to get the vapor. There are some vaporizer pens that are great for beginners while others are perfect for people who have some experience. Here, we are going to look at some of the Dr. Dabber vape pens to help you make an informed decision should you decide to use one. On with the reviews! This is a vaporizer that is portable and very easy to keep in your purse or pocket. The overall unit quality of the unit is impressive and it is something you can hold confidently even when people are looking. There is a beautifully textured finish making the unit very robust. It is clean, sleek, and pays attention to every detail making it exquisite. One thing you notice is that it is quite affordable, but looks expensive. The build is done to perfection. All the different parts are well machined and all the parts fit perfectly. There is a button that is tactile without any rattles. The overall build makes this piece very durable. One of the things some users have an issue with is the mouthpiece which is made of plastic. Though the material is of a high quality, there are some users who feel that the mouthpiece is a letdown and taints the flavor. However, all other aspects are on point and it is still your perfect choice. When you buy the ghost vaporizer kit, you also get a battery, a wax atomizer, a ghost attachment, a mouthpiece, an instruction manual, a USB charger, one dab tool, and a container for wax storage. Using this piece is rather straightforward. You only need to pour some oil drops or even dab wax on the coil and fire. After this, you simply inhale through the mouthpiece. There are no fans, no settings for temperature, no heat up times, and so on. This is a Vape pen that has simplified the whole process and this is what makes it a perfect choice for beginners. Shutting off is also easy and you only need to press a button five times. This is done to ensure there are no misfires especially if you are carrying the device in your pocket. Turning on also requires one to press the button another five times. This is an elegant and simple solution. Many users get a pleasant surprise after using this vaporizer because it performs so well. Some really nice vapor produced is of a high quality that tastes clean and comes with clouds of vapor. The coil is of a high quality and the low heat helps to keep the vapor tasty and smooth at the same time. The no heat up times makes this the perfect option. Once you press the button, you are ready to inhale the vapor straight away. It is always a good idea to let the coils heat for a couple of seconds though, so as to get that consistent vapor. Vape pens usually have some performance issues, but this is not the case with the Dr. Dabber ghost. The performance is excellent and is much better than other pens within the same price range. Its battery life is quite impressive and can be rated at around 400 puffs. The actual usage will depend heavily on how an individual vapes. Most users can use it for a couple of days before they need to recharge again. Even when it is not being used, the battery still holds. There is no power draining. When you want to recharge, it will take around 2 hours. It has a USB cord to serve this purpose. You can, therefore, charge at any point that has a USB port. This is a great reprieve for people who travel with the vaporizer for long distances. You can use a power bank or a car adapter to recharge the unit very easily. The atomizer is the heart of the device. The coil is made of titanium that is high resistance and lasts a very long time without the need for a replacement. Silica is used to make the wick. Some vaporizers have an issue with this material since it affects the quality of the vapor. However, the Dr. Dabber Ghost vaporizer seems to have handled the issue and you get pure and clean vapor from the word go. This pen is worth a try since it is sleek and reliable. CURRENT PRICE $52.95 at the time of this post. Dr. Dabber has always been at the front line giving us some of the best vaporizer products for the casual users. Dr. Dabber light is a perfect selection since you can conceal it while at the same time pack a very potent punch. This is the best choice if you want your Vape pen while on the go and don’t want to attract too much attention. This one is very easy to use just like other e-cigs. You only have to click the button some 5 times so as to get the power on or off and then hold the button down as you draw. This is something that many regular users will find very easy to use in terms of function and form. The button is tactile and small and therefore provides you with a click ensuring that it remains engaged. When you activate, the Dr. Dabber logo at the bottom lights up and this allows you to know that it is on. Assembly is very simple. There are some two main parts and that is the battery and the atomizer. For purposes of maintenance, you can take the atomizer apart and into 3 pieces. You can also take it apart for loading and for coil replacement when it is needed. Disassembly is also very easy. The pieces are held using silicon O-rings. They have a disassemble seal that is very easy to use. Dr. Dabber Light is very similar to the Ghost vaporizer. The atomizer is made of titanium wire that is wired around a wick made of ceramic fiber. The coils are one of the biggest cons of this unit since they can’t last that long. Performance can be degraded to a great extent as well. This coil is not cheap either when you want to make a replacement. However, one of the best things is that the box comes with two. The second one serves as a spare. It is important to appreciate the fact that your atomizer will definitely get dirty as you continue to use. They, therefore, need to be cleaned out so as to perform at optimum. The quality of the vapor is outstandingly great. Flavor is also great, especially when the coil is clean. 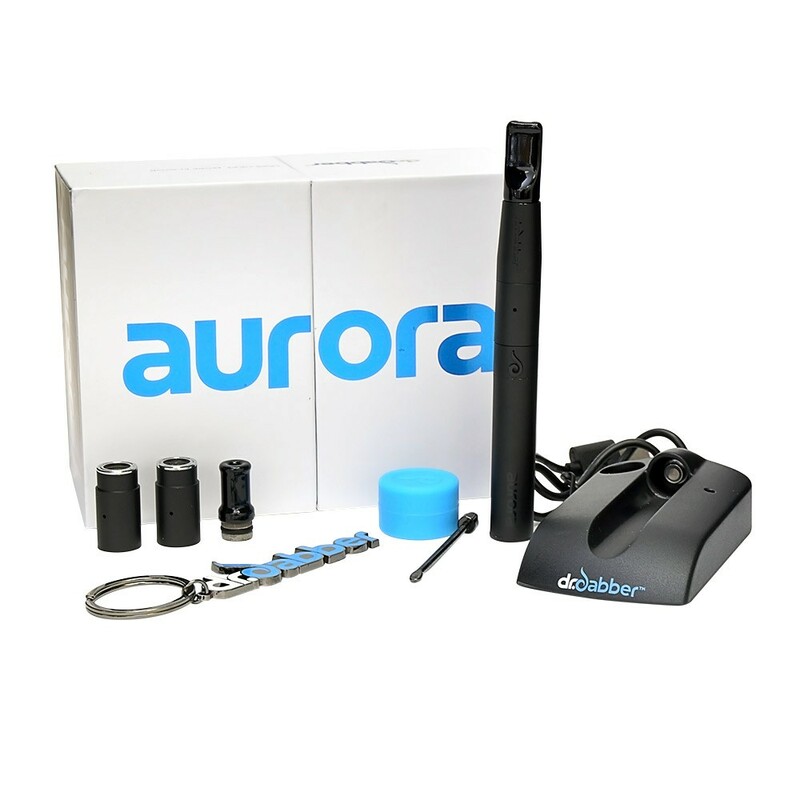 Dr. Dabber Aurora is a high-class wax pen but can be kept at a low profile. This is a head turner when you compare to other kinds of pens. This is something that looks so good that you may choose to buy it as a gift for someone important in your life. The interiors are made of ceramic and this is what makes it such a great quality for vapor production. All components are set up well and are in place. It is a great choice for someone who loves to keep things simple. The Aurora is a bit higher priced but it is definitely worth every cent. The temperature can be controlled easily and the design is very stylish. It looks like one fancy pen and therefore you can have it with you even in a board meeting. In one kit, you get 3 atomizers and therefore you can get quality vapor since you can choose between the three. The ceramic interior does not have wicks and therefore, you get a chance to enjoy very slow and nice draws. Vaper’s will definitely love this choice because it decreases the bitter taste that comes from the residue after the substances have been blended. You can enjoy a very consistent and even draw. There is also the dual ceramic rod atomizer that works well with low viscosity waxes. It is reliable and produces rich and substantial vapor, you need to draw slowly so as to get the best taste. What does the Aurora vape have? The vape may look unobtrusive when you first see it. It is a sleek switch with a great satin finish. With it comes a battery unit that has variable voltage. There are also the three atomizers, a mouthpiece that is a shot-gun style kind of mouthpiece, a ceramic contoured mouthpiece, a USB charger, a dabber keychain, and a storage container that is shatterproof. It has some brilliant features too. This comes with a matte finish, has 3 heat settings, a ceramic mouthpiece, multiple advanced atomizers, as well as swap tech magnetic technology. This is a pen that is an amazing choice for beginners since it is very easy to use and you can get all the pieces in place very easily. There is also the design which is simply brilliant. It is stylish and sleek with an outer shell that is black and flat. It also has LED lights that add to the slick touch. It makes it a fun piece that is not so flashy. There are the snaptech magnets that are the greatest feature. They are easy to use and don’t have any leaks or mess. The magnets can be cleaned very easily due to the flat surfaces. You do not need any extra cleaning materials since you can do the regular cleaning. This is basically a portable oil rig that is powered by a battery that is a USB charger. The desktop oil rig can be too large to carry around and therefore, you need a smaller dabber that is easy to carry. The Dabber Boost is a few inches tall and comes with a ceramic heating rod at the top. This is slipped in a quartz, ceramic, or titanium nail. The glass percolator mouthpiece is spill resistant and attaches to the body quite snugly. You will have to charge Dr. Dabber boost before you use it. You then load the glass with some water and then click the button three times if you are using the titanium nail. If you are using a ceramic nail, you will have to click five times. This is the same case with the quartz nail. The LED indicator starts as white and turns to blue after some seconds. This will depend on whether you clicked three times or five. The temperature rises to 600 degrees and then the heater turns off. The Dr. Dabber Boost vapor pen is very likable and functions quite well as well. It produces clouds of cannabinoids, which is not the case with many types of portable pens. This is the latest entrant from Dr. Dabber. It is a vaporizer with a heating system that is very fancy. This means that it actually heats up very fast and one can vape dry herbs and vape making it a versatile option. This could be the only vaporizer that you really need. It is one of the best vaporizers available in the market today. The Dr. Dabber Switch vaporizer is quite highly priced. 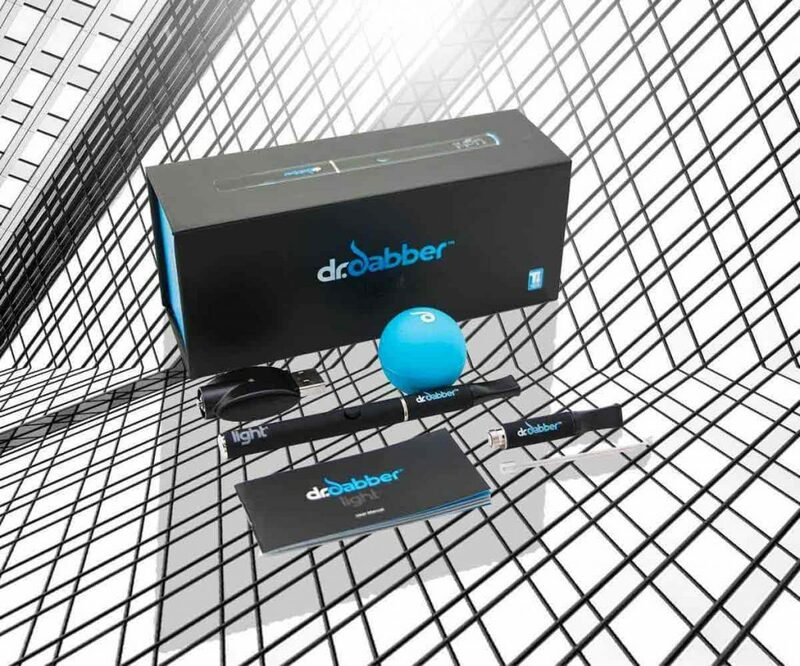 It can be bought directly from Dr. Dabber and there are coupon codes available to allow you to make some savings. This is a vaporizer that is multi-use and utilizes a new induction system which is the best and the fastest heating method today. Dr. Dabber is popular for making the best wax vaporizers and therefore you can be sure that you will enjoy it. The induction heating is not like conduction or convection due to the fact that electromagnetic coils are used so as to heat the herb or wax. The coil is therefore heated from inside out instead of outside. One of the greatest advantages of induction heating is the fact that it is so much faster than the other methods of heating. When there is induction heating, you don’t have to think about the heating element or coil replacement. The coil provides a very fast and efficient heating through electromagnetism. The kit comes with the Switch main unit, a glass bubbler, two ceramic nails, silicone wax container and a carb cap, ceramic flower filter, and tweezers. The quartz nail can actually be bought separately and it comes highly recommended because of the great flavor that can be enjoyed. The switch has a wax container and a dab tool. This is a pen that is compatible w/THC concentrates as well as dry herbs. It uses induction heat and this means that it heats so much faster than other models. You can switch very easily between the weed and wax heating modes enjoying high temperatures of 300˚F – 800˚F. The lights usually glow yellow when in wax hearing mode. The lights are LED. This model is around 9.5 inches tall but with the bubbler, it is around 13 inches making it a tall model and girthy too. It has an hourglass design that feels very comfortable to hold. The pieces snap so well together and the entire unit can be assembled quite easily. It is easy to tell that Dr. Dabber Vaporizers are some of the best in the market and they can fit into different budgets. Make your pick today and have some of the most amazing experiences ever. These are very interesting and look very classy as what I am used to seeing. As an ex smoker I sometimes use a vape just for the great taste. I think I would love to own one of these. Im going to dig a little deeper and see what I can do. Im also going to send this site to my son who uses a vape on a daily basis. This is great info. Thank you. Yes, Dale these are some of the better wax and oil vape pens out there right now. Of course there are tons of other cheaper brands but they don’t work as well or last as long. Dr Dabber has had a good reputation for treating their customers right as well. Good luck and happy vaping! Hmm, thanks for sharing this. I had never seen vape until just recently. My friend used it and I was quite surprised to see how it worked. Now, I wanted touch a little bit on the health side of things. My friend said he was using a vape instead of cigarettes because it is supposed to be healthier. But, it also seemed like he was addicted to it a bit. Maybe you could elaborate more on this – I’d love to better understand. Yes a lot of people are using vaporizers to help quit smoking cigarettes. It is replacing a habit with another habit but the difference is in the amount of harm being done to your body. Vaporizers don’t burn anything so there is no tar. You might have a look at my V2 cigs review at the link below because these Dr Dabber vape pens are more for the cannabis wax and oil concentrates rather than for nicotine e liquids. Thanks for sharing a comprehensive review on Dr. Dabber Vaporizers. This article is packed with lots of information pertaining to Vaporizers in particular, and the way you decipher each features and function of Dr. Dabber Vaporizer will definitely be a worth to try and having this information will help make my decision of buying one a little bit easier. Thanks for the great article, it was very detailed and informative. I like that you showed different levels of price and what the differences are. I am from Canada and we recently had Marijuana legalized, can you use these with that? What about safety, how safe are these? I have heard stories of them blowing up when in storage. Hi, Yes these are usually used mostly for cannabis but you can use with other herbs too. I don’t think Dr. Dabber has ever had any of their product blow up. Most of he blow ups you may have seen on the news were from modified vaporizers and not storing the batteries properly. Thank you for sharing with us this great review on Dr Dabber Premium Vape Pen.cigarette smoking is very harmful to the smoker and to the people around them.I was amazed by the way Vape Pen is changing people’s life in terms of stopping them from smoking cigarette. My workmate told me that he was smoking about 5 cigarettes a day but after finding this miraculous pen,he is feeling ok now even if he can’t sleep without vaping too and i found it questionable.I fear he may be addicted to vaping even if there is no risk compared to smoking cigarette. 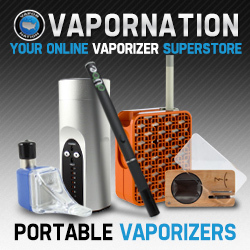 Check out this e cigarette review for that type of vaporizer. The Dr. Dabber vape pens are geared more towards medicinal herbs and cannabis oils or waxes. You are correct about how e cigarettes have helped many get away from tobacco cigarettes. I quit smoking 4 years ago thanks to the V2 Cigs e cig. Some great information on your post, Dr Dabber Premium Vape Pen Reviews. You mention in your review that the coils don’t come cheap, even though you get a spare one if both have gone, is it better to just buy a new vaporizer or just replace the coil again. Also, can the coil be the cause of the vape not coming out, like very little drag? Most coils you will need to replace will be much cheaper than buying a new vape all together. If it stops working or very little vape output it is likely to be a burnt out coil otherwise it could be a different connectivity issue. What about the health? Are better for you? What about the people around you children? They don’t harm anyone? I have never used one of these dabber pens, or had a dab of any kind but have been quite intrigued by them. I don’t quite understand how they fully work though. I use an E-cig and I understand how that works with the eliquid but with this when you get the concentrate do you just put a little on every time you want to smoke or is there a cartridge you fill up on these? Basically, it works the same as your e-cigarette with the e juice. Much like you said you can add a little bit of the concentrate as you go. With these vape pens, in particular, there are no cartridges. This is a very informative article as it gives us a better explaination of the various dabber vapourizers the one thing i like about them is the fact that it is portable and can be easily carried and the mode operation seem to have little or no work at all (EASY) but my question will be if this vapourizer works with all substance? if you know what i mean. It will work with almost all concentrate oils and waxes very well. Not for dry herbs though. Thanks for the very thorough article about the vapes. Personally, I have never heard about these products because I don’t really use vapes in my life, but I do have a friend who enjoys them a lot and they told me that they would love to get new one for their birthday, so I am glad I found this article as it will help me decide what to get them just in the nick of time. Hi John,Thank you for writing this great article, it was well detailed and full of all the information I need. And I must say you really did a great job on the pricing and how you listed each with their pricing features but how safe are these to use in reference to health (lung)? I have heard stories of them blowing up in storage. How true could that be?Thank you once again! As with anything you have batteries contained within, always read the guidelines on how to properly store your batteries and you should be safe. This is an interesting article. I don’t vape but I know people who do, so this will be a great gift for them! The first one on your list has a cool name and sounds like something the Ghostbusters would use! The build quality sounds impeccable. I think this is the one I would get as a gift because it is so compact and simple. It is nice to use fancy devices from time to time but sometimes you just need a straightforward no-nonsense device that is easy to use. Thanks for this great gift idea! I do smoke dry herb weed,am thinking of bring in Marijuana any time soon. Thank you for this extensive review on the different Dr. Dabber Vaporizers. I did not really know anything about vaporizers before but your post gave me all the information needed. Well, at the age of 68 I do not think I will start using a vaporizer. By the end of 2015, I stopped smoking cigarettes and am happy I took.that decision. I am a fan of Cannabis but for medical purposes and hope it soon will be legalized all over the world.